If you are anything like me, you often find yourself bonding with dogs more than you bond with people, and you would much rather hang out with dogs than most other beings. Same. But being a full-time grad student, I know I don’t have time to have a dog myself. Between my apartment, my night classes, my oh so exciting social life (totally kidding), and my general lack of funds, having a dog is just not feasible right now. So how in the world do I find dogs to socialize with while I’m in Austin? Easy! 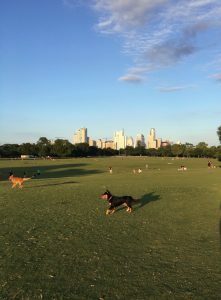 When I had my first picnic at Zilker Park, I had no intention of running into dogs. I went to find some shade after my morning hike and check out a beautiful park. However, I picked a place in the park right off Riverside and stumbled upon a park with a plethora of off-leash pups. They all came up to say hi, and I got to make tons of new furry friends that day. Contrary to what you might think, it is not weird at all to go to Zilker without a dog. Some people were there playing frisbee, lots of us were out having picnics, and plenty of people were walking through all without dogs. This is the easiest way to interact with lots of dogs any time of the day! Austin is a dog-loving city with lots of people and lots of canines. This leads to a need for a large number of animal shelters. 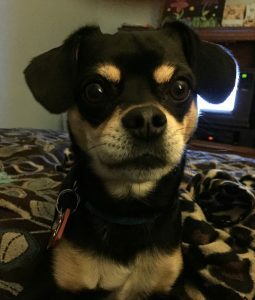 Texas Humane Heroes is the animal shelter for the city of Austin, and there are plenty of volunteer opportunities there to help you fulfill your love of dogs (and even cats!) In addition to Texas Humane Heroes, you can volunteer at Austin Pets Alive, Austin Animal Center, PAWS Shelter of Central Texas, and Town Lake Animal Shelter (just to name a few!) Theses shelters are always in need of volunteers, and you can help by walking the dogs, cleaning their cages, socializing puppies, and even fostering dogs if you have the capabilities to do so! This is a great way to interact with Austin’s pup population and feel great doing it. Most of these animal shelters took in rescue dogs from Hurricane Harvey, and they all need lots of help right now! This option will let you interact with dogs AND make a little cash. What a deal! There are plenty of different avenues you could pursue to become a dog walker from apps to websites to even walking dogs on your own and spreading the word to your friends. 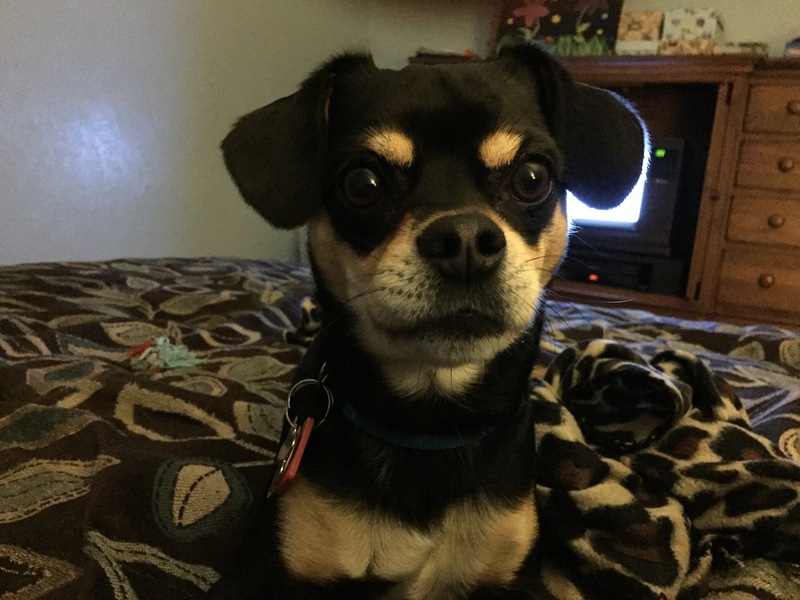 Although I will not advertise one avenue over the other, if you have experience with dogs and desire to walk dogs, board dogs, or offer dog sitting then this is a great option to meet Austin’s vast array of dogs. 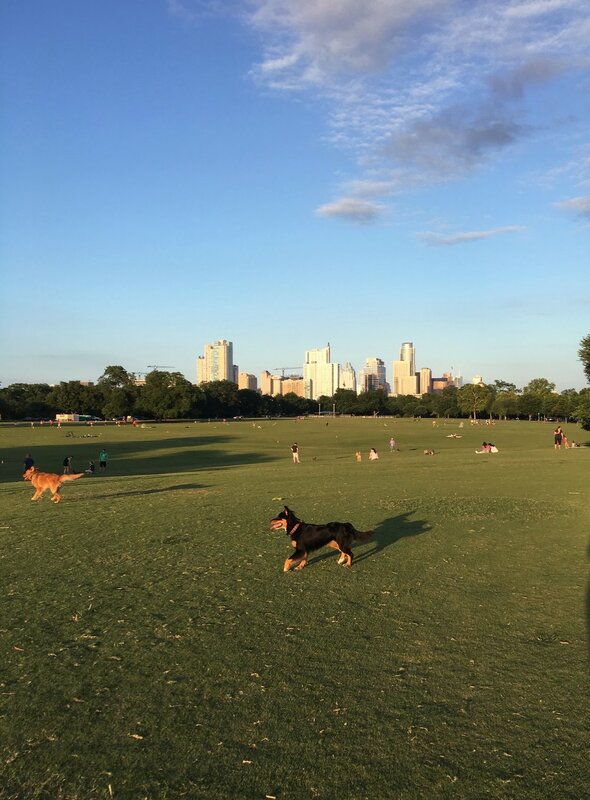 It is no secret that Austin has a vibrant canine population, and there are plenty of ways to interact with these dogs all over the city. These are just a couple of ways I have become involved with pups in Austin, but I would love to hear your suggestions! Also, here is my puppy Joey from Fort Worth who makes me miss having a dog in Austin every day!